By definition the European Parliament is an Assembly as originally named in the Rome Treaty. It is not a Parliament. The European Parliament is an institution of the European Community/Union, which institution has no powers to raise taxes, to elect a Government of European Union, does not control any armed forces, does not control the mint, has only minor powers over legislation known as co-decision and cannot of itself initiate legislation. 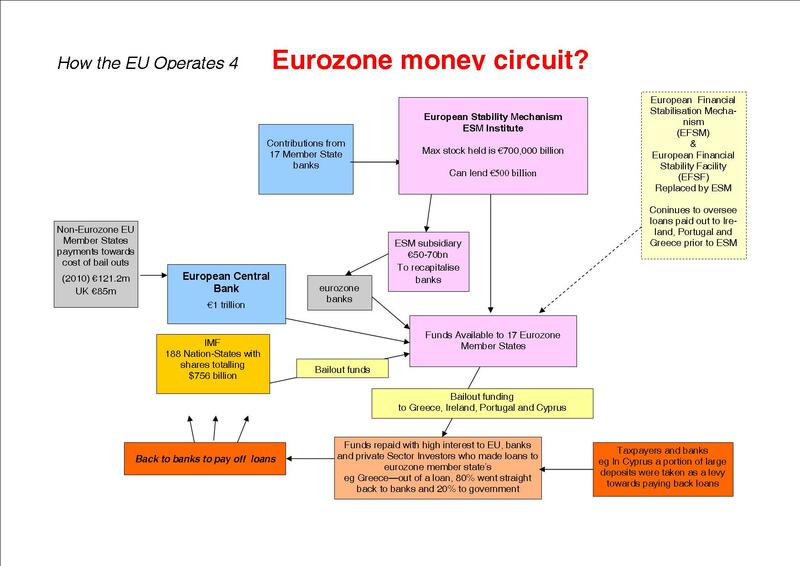 With respect to our friends in the anti-EU and anti-EMU movement the so called European Parliament has no powers to pull Britain out of the EU or prevent Britain entering the single currency. The real role of MEPs is to promote European Union for which they are well paid and have lavish unchecked expenses. The Euro-poll taking place on 10 June in Britain has nothing to do with democracy precisely because MEPs have no powers to speak of and therefore cannot be considered to be delegates or representatives of their constituencies. Parliamentary democracy implies those elected hold some powers on behalf of the electorate. All political parties taking part in this poll have failed so far to make clear that it is only the Parliament at Westminster which can repeal the 1972 European Communities Act to withdraw Britain from the European Community and legislate to join the single currency. Sending MEPs to the so called European Parliament does not alter how the European Union is governed, except in very minor ways. 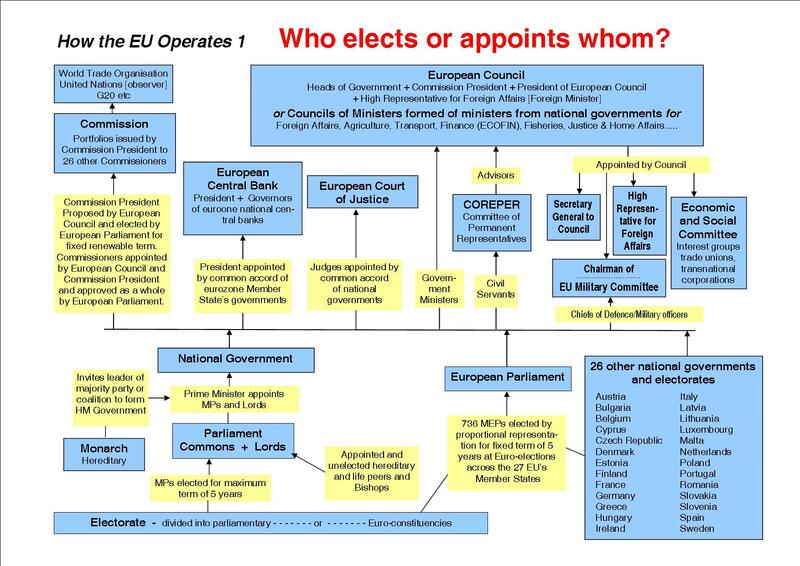 Real power to legislate, decide common policies, directives and regulations is held by the Council of Ministers, the unelected, unaccountable European Commission and unelected, unaccountable Governors of the European Central Bank. Political parties who have lists of candidates in the 10 June Euro-poll and oppose Britain's membership of European Union or EMU are asking for votes to be sent to an institution of European Union which they oppose. This unwittingly misleads and confuses the electorate and does a disservice to formal democracy. At the same time European Union will be strengthened, along with policies for a single currency, a single army within a Common Foreign and Security Policy and support for NATO/EU action in the Balkans. It is significant that what Euro-federalists and the European Parliament most fear is a low turnout in the 10 June Euro-poll, hence all the activity and media hype. The only principled and logical course of action to take is to completely boycott this poll and to explain why to voters. Turnouts for this poll continue to fall, (the last Euro-by-election in Britain had 11%), because voters know only misery and policies against their interests emanate from the EU and that their largely unknown MEPs have no powers to do anything. Divisions which occur between those who stand candidates and those calling for a boycott emanate from the EU itself via the so called European Parliament. The Campaign against Euro-federalism along with many others inside and outside the labour movement have taken this principled stand since the first "direct-elections" took place in 1979. CAEF will actively campaign for a boycott of this 10 June event.